(Lanka e News – 03.July.2018, 11.450PM) Angered by a New York Times investigation detailing how China seized ownership of a seaport in Sri Lanka, a group of Sri Lankan lawmakers denounced the newspaper on Monday, focusing their ire on two local journalists for the newspaper. On Monday night, the lawmakers, who are allies of the former president Mahinda Rajapaksa, held a televised news conference in which they claimed that the journalists, Dharisha Bastians and Arthur Wamanan, were working on behalf of the current government to malign Mr. Rajapaksa. One lawmaker displayed a close-up photo of Ms. Bastians’s face for the cameras. The news conference came after a days-long campaign on social media to discredit the journalists, who provided logistical help for the article, and to attack their families. The campaign on Twitter and Facebook received the support of Mr. Rajapaksa’s family, including his son Namal Rajapaksa, a member of Parliament, who reposted claims that Ms. Bastians and the main author of the ports investigation, the Times correspondent Maria Abi-Habib, had been paid to write the piece by Sri Lanka’s current government. Michael Slackman, the international editor for The Times, called those claims false. In a statement, he said the Times article was rigorously reported and accurate, and criticized the lawmakers’ news conference. The Times article was published on June 26. It detailed how Mr. Rajapaksa had taken on more than $1 billion in loans from China’s government to build a seaport in his hometown of Hambantota, southern Sri Lanka, despite feasibility studies that concluded the project was not economically viable. The article also cited an ongoing government investigation into payments from China Harbor Engineering Co., a major, Chinese state-owned enterprise, to aides in Mr. Rajapaksa’s campaign before the 2015 elections. China Harbor built the Hambantota port. 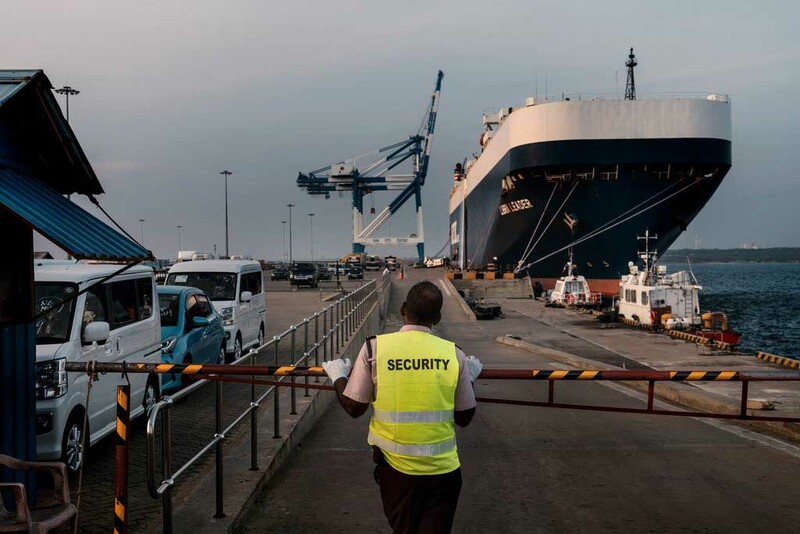 Unable to pay off the debt, Sri Lanka’s current government handed over Hambantota port last year to China Merchants Port in a 99-year lease. China Merchants is another large, state-owned Chinese company. Sri Lanka is one of the most dangerous places for journalists, according to the Committee to Protect Journalists. During Mr. Rajapaksa’s 10-year presidency, journalists were routinely beaten and jailed, and 11 reporters were killed, their murders remaining unsolved to this day. When Sri Lanka’s new government came to power, it promised more press freedoms, but physical attacks have continued, although none have resulted in death. Before the article was published in The Times, Mr. Rajapaksa and his aides did not respond to multiple requests to comment on the article, including detailed lists of questions and assertions made by other officials. On July 1, Mr. Rajapaksa wrote an open letter to editors at The Times in response to the article, rejecting statements that his electoral campaign had received any payments from China Harbor. Mr. Rajapaksa’s letter denied the article’s assertions that feasibility studies conducted during his presidency had concluded that Hambantota port was not economically viable. However, a news release issued in 2010 by Mr. Rajapaksa’s government stated that a foreign company had been hired years earlier “to conduct a feasibility study to assess the possibility of building a harbor.” Though the study found that the location for the port was not suitable, the release said, Mr. Rajapaksa went ahead with the plans anyway. The Chinese Embassy in Colombo responded to the article over the weekend, claiming it was “inconsistent” with facts and calling it prejudiced. The Chinese Embassy also did not respond to several emailed requests for comment before the article was published last week.